The weather and the fishing gave us a break this week on the flats. Some calmer and warmer water brought in a push of tarpon. A welcome sight this time of year as the tarpon should begin their annual migration. 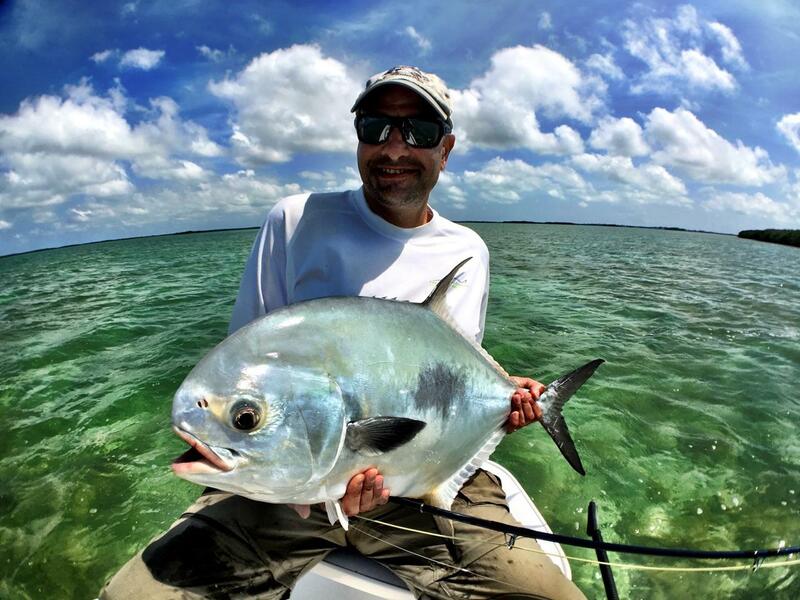 Things are so different as opposed to say ten years ago but with a little effort poling the boat and finding the pods of tarpon we had a few great days with tarpon, bonefish and even a nice permit (which was caught on a tarpon fly – go figure). This weekend is the Southernmost Air Show at NAS Key West so we’ve had the Blue Angels flying overhead for a few days now offering some additional entertainment. The Blue Angels haven’t been down to the Keys in several years so it’s great to have them here. This is the start of one of the best times of the year here in the Keys. The winds start to calm and shift to the southerly direction warming up the waters. Big tarpon flood the backcountry basins and start to move along the Gulf edge and eventually the oceanside flats. There are still some permit swimming but they do head offshore to the patch reefs to spawn so there may not be as many around until late May or June. The bonefishing has been surprisingly good this week. It’s so nice to see a good population of them around the shallows. Stay tuned for more action this week as the tarpon run just gets going. For availability please email me or call 305-360-3122.